Add Billing and or Mailing Addresses, Phone Numbers and Email Addresses. Update or add a new directory category for your online directory listing and fill out your descriptions. Update/Add social media to better connect with potential customers. ***Please do not overwrite former employees with new employee information. 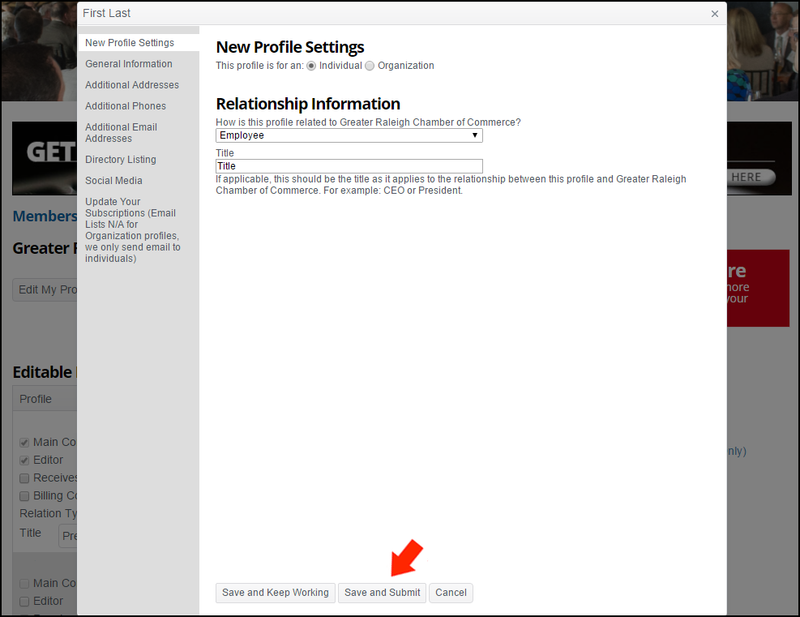 Under the Relationship Information, choose 'Employee" and fill in a title. 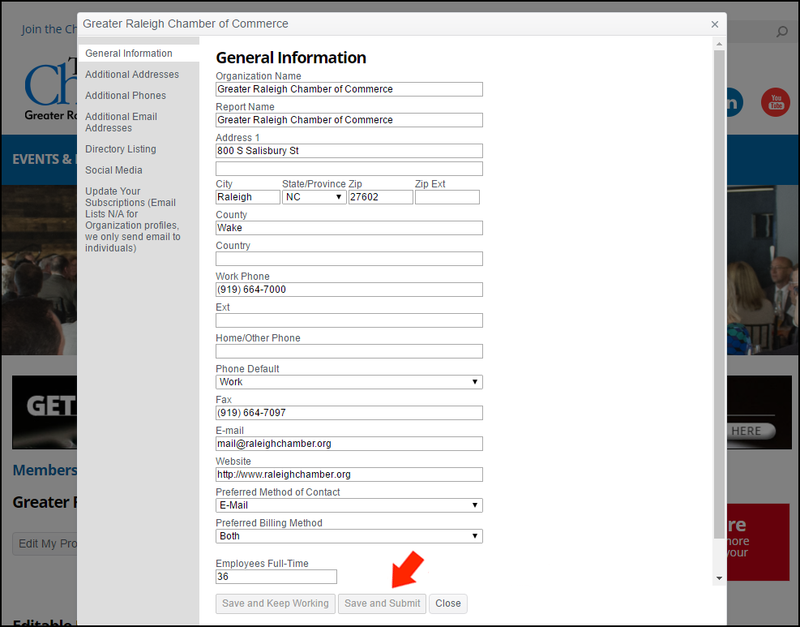 Click 'General Information' and fill in the required fields. Choose from our interest based subscription lists in the 'Update Your Subscriptions' tab if you wish to sign an employee up for specific interest based communications. Set an employee as your billing contact by checking 'Billing Contact' within their profile area. Click 'Edit Profile' to make name, address and phone changes to an employee or subscribe them to an interest based subscription list. 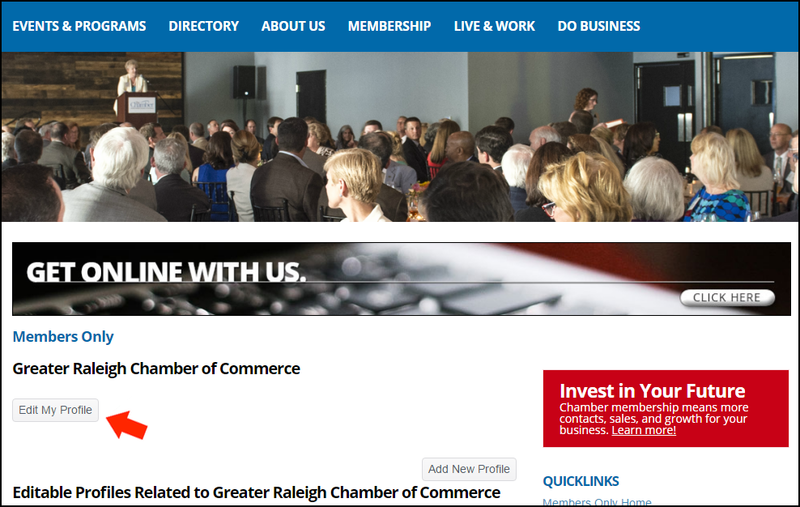 If you wish to change your organization's main contact, please send us an email or call 919.664.7011. ​​Thank you for taking the time to update your profile! 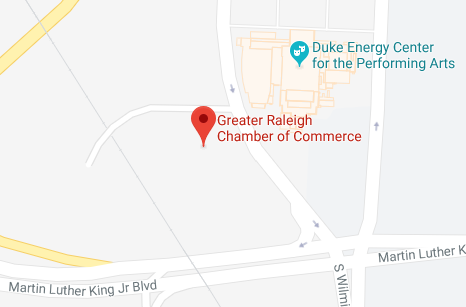 If you need assistance or have questions please email or call us at 919.664.7011.